Dynamic product ads are critical to having a successful Facebook marketing holiday season. 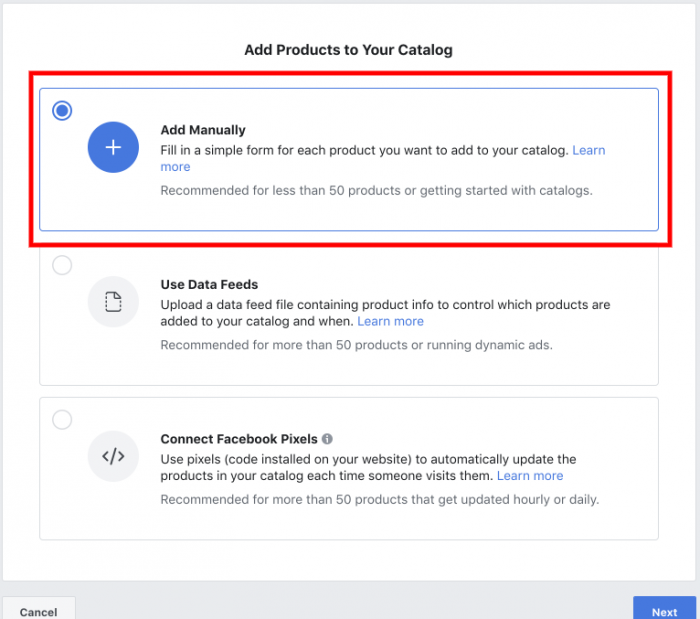 These ads dynamically update and feature products from your product catalog, while also allowing you to not only use them in remarketing (aka someone views a product on your site and then later sees a Facebook ad for that product) but also for prospecting, via Broadmatch Dynamic Ads. Furthermore, when done correctly, they function and display seamlessly, so users like seeing them and as a result, the ads convert. Dynamic Product Ads, or DPAs, are truly one of the most effective tools in a Facebook marketer’s toolbox. What’s Different About The Holiday Season? What’s different about DPAs in Q4, however, is like everything else in the Facebook ads world during this time: Dynamic ads are affected by competition. Hordes of hungry advertisers inundate Facebook and Instagram during the holiday season. As a result, you must set your ads apart by bidding differently and adjusting your time windows for maximum success. You can’t just keep running the same DPAs you’ve been running all year. In truth, dynamic ads should always meet these requirements, but the holidays place an even greater emphasis on these must-haves. Some businesses also extend Phase Three until the end of the calendar year, especially if they want to push post-Christmas sales and year-end promotions. 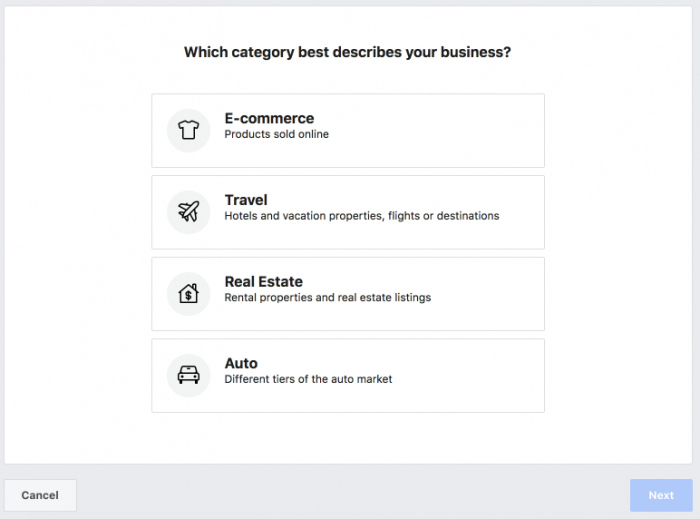 These three phases help define what specific Facebook/Instagram advertising tactics and strategies you’ll want to use during each timeframe. For example, it’s incredibly competitive and oftentimes prohibitively expensive to prospect during Phase Two. Because of this, I recommend prospecting during Phase One and building out those audiences early (aka now!) to remarket to them later, as outlined in this post. If you want to learn more, join us for our Q4 Dynamic Ads Masterclass! I strongly recommend using dynamic ads throughout all the phases of Q4 — and here’s how! In Phase One, you’re trying to warm prospective customers up to the idea of who you are, what your company is about, and why you matter. You want them to clearly understand your value proposition and hey, if there’s a decent deal there, they might take that, too. In Phase Two, users are expecting a great deal because it’s the Black Friday/Cyber Monday feeding frenzy. They want to convert, so how can you adjust your DPAs to speed up their path to purchase? How can you make your offer truly irresistible? Your Phase Two goal should be pushing your best products and your best offers/promos to the people you’ve already warmed up in Phase One. In Phase Three, your goal should be focusing on hard-to-beat holiday bundles. You can also focus on compelling product promos and final year-end sales. For example, offering free shipping or additional discounts when users buy more products can work very well. If you think through each of these three phases and plan your DPAs accordingly, you will undoubtedly have better results with your Facebook/Instagram holiday campaigns. Be honest: Are your product catalog images the most visually interesting images ever? Probably not. A product with a plain white background is technically fine, it gets the job done, but is it the best image you can put forward during Q4? No. So what can you do about it? A few things, actually! The first option you have is to update the image in your Shopify store (or WooCommerce, but below we show Shopify). Simply go into your best sellers and update the image with a more holiday-feeling, gift-centered image. Something that looks a little more user-generated can work really well here. 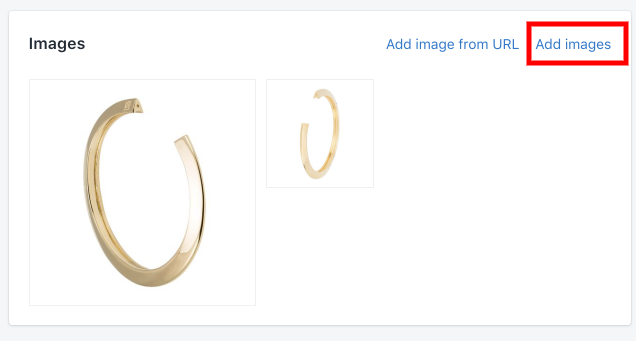 You don’t have to remove all of the product images because a user can still scroll through them, but just add another one that gives it a little more holiday pizzaz! Let’s compare the first image shown here with the image shown a little further below. The first image is super straightforward, simple, and could be featured any time of the year. It’s pretty basic. The second image is more colorful, looks like it could be user-generated, and is generally more enticing. It also displays “gift-ability” to the user. 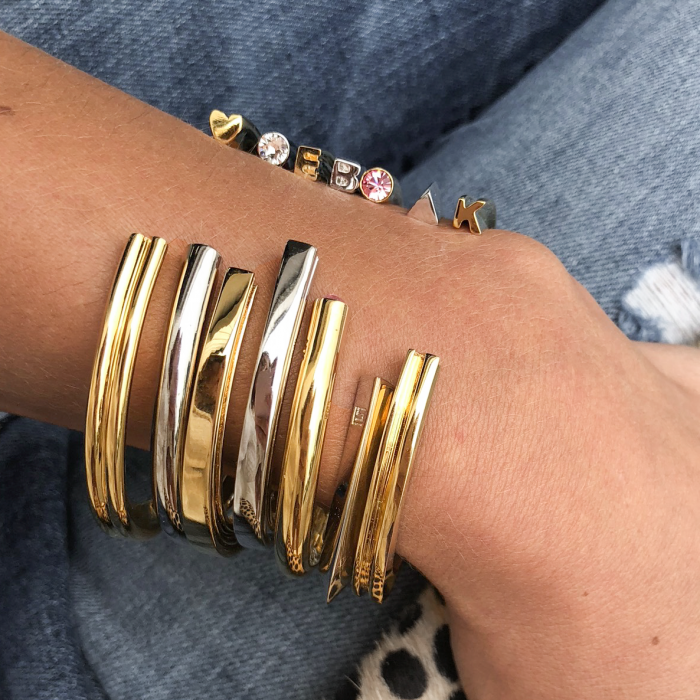 Okay, so maybe you don’t want to mess around with your product images because you’ve spent a lot of time and moola on them this year and you think they’re fine as-is. I totally get that! But did you know that you can now build a product catalog without all the complications of a feed? 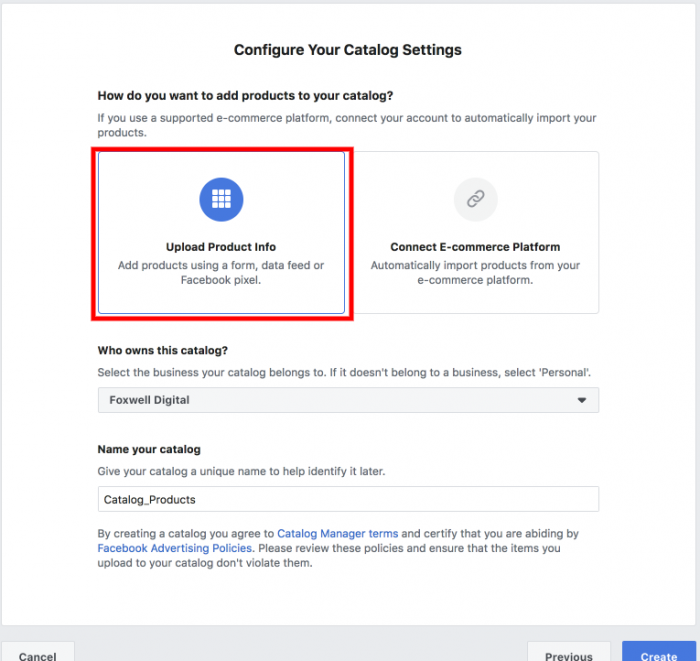 Yes, you can build a product catalog–to be used in DPAs and other dynamic ads — with a new manual creation tool! 1. 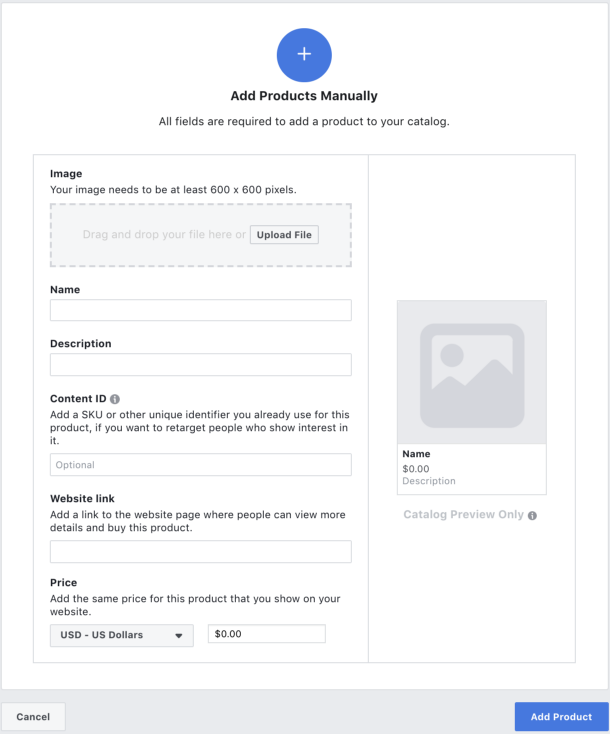 Create a product catalog and choose your vertical. 5. Then, add your products manually! Here’s a serious [PRO TIP], folks: Focus on holiday-themed images and copy! Users really WANT to convert during this time of year, so make it easy for them! Feature product images that look like beautiful and thoughtful gifts as well as products that can be easily bundled. Add some five-star customer testimonials into your ad copy and some festive holiday emojis while you’re at it. Even if you don’t do any of the above, at a bare minimum you should create a holiday product set. Creating product sets is an incredible vehicle for grouping together products that are in-stock, always sell well, and don’t include low-margin or low-volume products. 1. Go to the “Product Set” Menu on the navigation within Catalogs. 2. 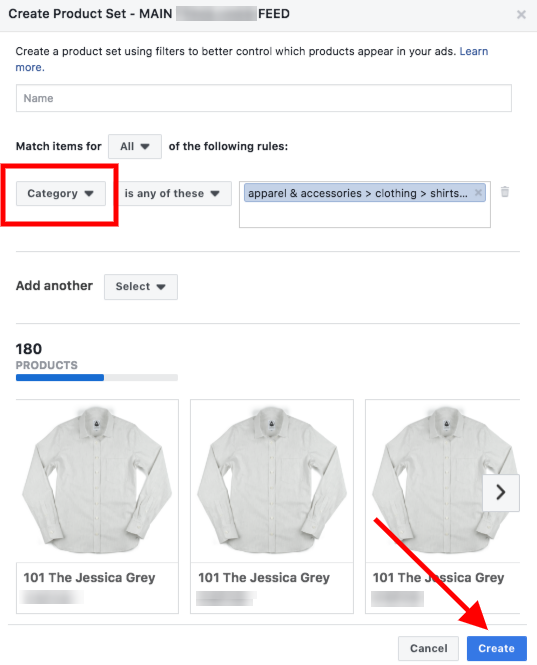 Then narrow down which products you want by type, name, style or any other field in your product catalog. 3. Advertise to only that set! Join us for our Dynamic Ads training later this month. The course will ensure that you are fully prepared and that your dynamic ads are in great shape for the holiday season.